The first recipe I ever made on my own was Corn flake Crusted Chicken Strips. I still have the page bookmarked in my Betty Crocker Kids Cookbook, I used to make these chicken strips over and over. They were always good, I loved the crunch the cornflakes gave the baked strips, but there was always something missing. It’s been over 10 years since I last made corn flake crusted chicken strips, I found that I was never really buying the cereal because there are always so many weird ingredients and added sugar. Not ideal. I finally went “back to my roots” with Erewhon’s Gluten Free Corn Flakes – my whole house (both my Mum and sister are gluten free) are completely addicted to these corn flakes. They’re the real deal, friends. When I took that first bite of the crunchy strips, I was immediately taken back to the yellow kitchen of my childhood. They tasted just like I remembered. What separates these chicken strips from regular chicken strips are the corn flakes. It gives them their distinctive crunch and flavour. These chicken strips took me back to the simplicity of being a kid, so I wanted to keep the flavours simple. Instead of opting for an exotic spice, I turned to black pepper to really elevate the flavour and be the star of the dish. Looking for a gluten-free lunch for your kids? 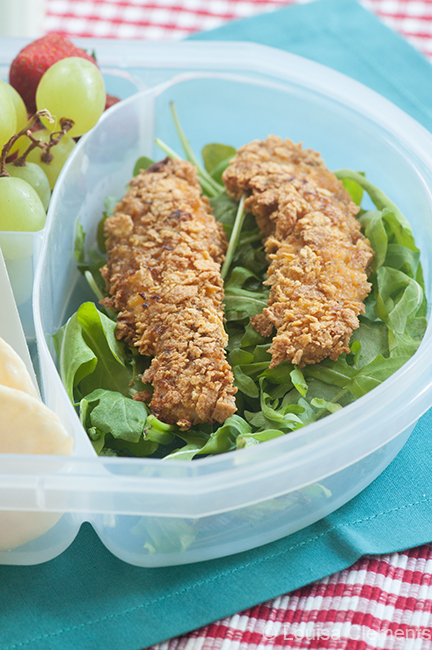 Look no further than corn flake crusted chicken Strips! In one bowl, combine crushed corn flakes, black pepper, mustard powder and sea salt. In another bowl, whisk milk and egg together. Dip chicken strips in egg mixture, and then dredge in corn flake coating. Place chicken strips on a lightly greased baking sheet. Spray with cooking spray. Remove from oven, flip over chicken strips and cook for another 12-15 minutes or until cooked through. For added crunch, place the strips under the broiler for 1-2 minutes at the end of cooking. 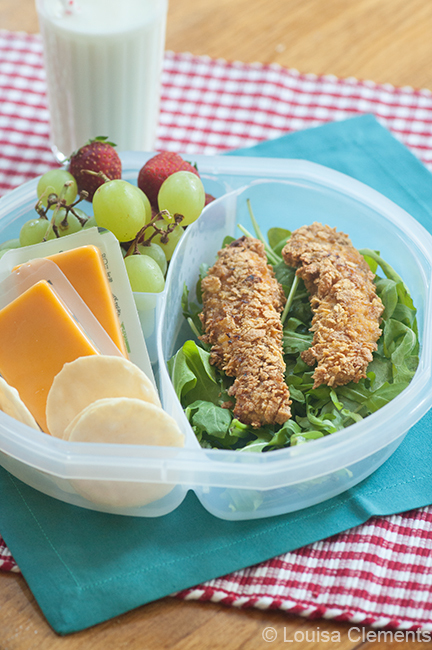 I hope you enjoy these Corn Flake Crusted Chicken Strips as much as I do – they make the perfect back-to-school lunch! Disclaimer: I was provided with samples of Erewhon cereals from Attune Foods. 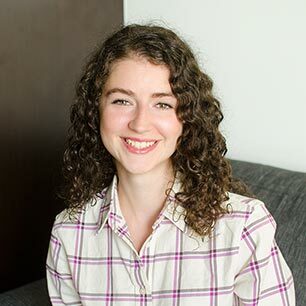 I was not compensated in any other way for writing this post – the decision to write about the product was my own and all opinions are 100% mine. Another delicious, easy-to-make, good-for-you recipe by Miss Living Lou...I shall buy some gluten-free cornflakes today & I will make this recipe tonight...And, the next time I have my friends over for a game of cards, I will make it for them. The grapes, cheese & strawberries are an excellent accompaniment, as well...Love the photo! You can also make these with regular cornflakes too if you can't find gluten-free ones! Let me know how they go! I would love to make corn flake crusted anything! The exterior looks perfect, I'm wondering if I can do that with vegan meat alternative (Gardein chicken), maybe with egg replacer or flax seeds? Hi Rika! I've never tried to make this with a vegan meat alternative or egg replacer but would love to know how it works. Please let me know if you give it a try!